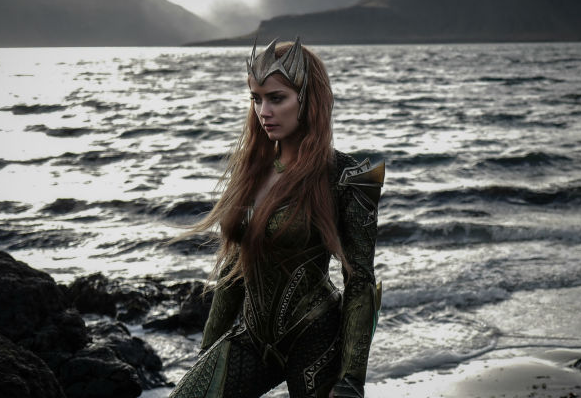 As 'Justice League' production winds down, having finished filming in England and now currently in Iceland, the first image of Amber Heard as the Queen of Atlantis, Mera, has been released. Director Zack Snyder shared the still that features Heard in full Atlantean regalia on the banks of Iceland waters. 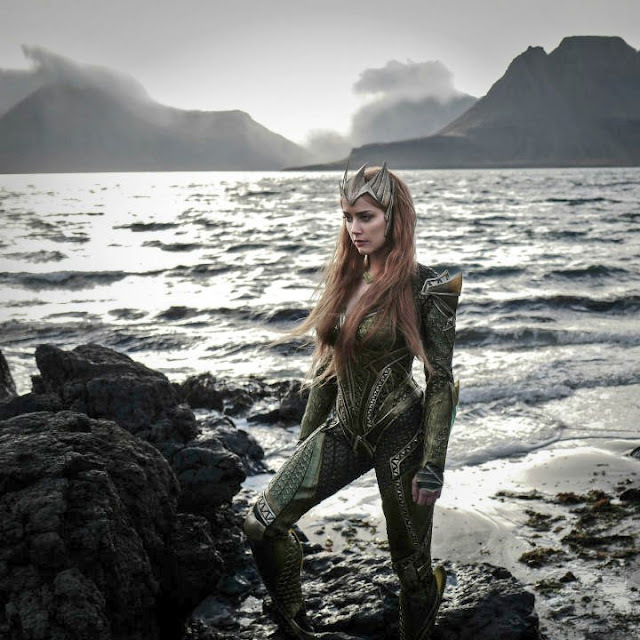 She'll play the wife of Arthur Curry/Aquaman (Jason Momoa) in a smaller role in 'Justice League' before co-starring in the James Wan-directed Aquaman solo feature. 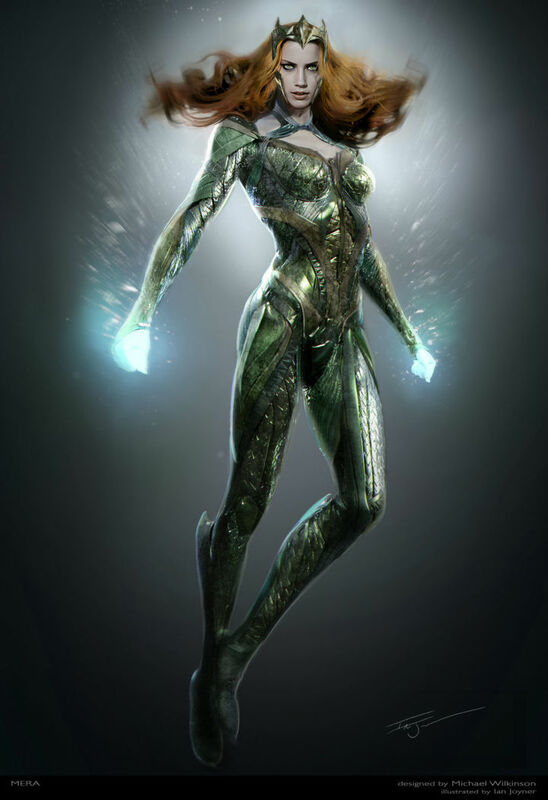 The final costume design for Mera can be seen in the concept art below from costume designer Michael Wilkinson. The transition from concept to reality looks to have been a success, retaining virtually all of the details from the art.